Tim Barber is one of the four founders of Canada 2020, Canada’s leading, independent, progressive think tank. He is also the founding partner of Bluesky Strategy Group, a full-service public affairs firm based in Ottawa. A native of Montreal, Tim has spent nearly two decades providing strategic advice to clients both inside and outside of government. He has worked for the Privy Council Office, the Deputy Prime Minister and the Minister of International Trade, in addition to coordinating and accompanying Canadian trade missions as part of the Canada China Business Council. As the co-founder of the “Cathay Club” dinners and the annual “Bluesky” sessions at Meech Lake, Tim is the driving force and Co-Founder of Canada 2020. In 2013, he was named one of the Hill Times’ most influential people in government and politics. He lives in Ottawa with his wife Nathalie and their two sons. Margaret Biggs is the 2014 Skelton-Clark Fellow in the School of Policy Studies at Queen’s University. She was the President of the Canadian International Development Agency from 2008-2013. During her five-year term with CIDA, she shaped Canada’s global efforts on maternal and child health, food security, economic growth and democratic governance. She also has extensive experience in other areas of international policy, including Canada’s work in fragile and conflict-affected states, and in social policy and intergovernmental relations. Ms. Biggs served as Deputy Secretary to the Cabinet (Plans) and Assistant Secretary( Priorities and Planning), in the Privy Council Office from 2002-2008. Ms. Biggs has represented Canada in numerous international fora and has served as Canada’s Alternate Governor to the World Bank, as International Executive Co-chair of the China Council on International Cooperation on Environment and Development, and on the Board of Governors for the International Development Research Centre. Ms. Biggs is a graduate of the University of British Columbia and the Norman Patterson School of International Affairs, Carleton University. As senior vice-president and deputy energy practice leader at Hill+Knowlton Strategies, Mark provides strategic advice to clients in the oil, natural gas, nuclear, coal, hydro, and renewable sectors, helping clients navigate the increasingly complex energy-sector environment. Mark brings 20 years of government, business, and consulting experience focused on public policy and strategic decision making. After serving in successively senior positions in government and Parliament, Mark served from 2006 to 2009 as director of policy and research and senior policy advisor to the Prime Minister of Canada. In this position, Mark managed the policy process in the Prime Minister’s Office, playing key leadership roles on files ranging from federal budgets and throne speeches to energy and climate change policy to the auto sector, and served as part of Canada’s delegations to meetings of the G8, NATO, and APEC. Mark has also acted as a consultant on energy and environmental issues, worked for Ontario Power Generation as director, corporate affairs, and most recently as director, global public policy with BlackBerry. As Vice President, Policy, International and Fiscal Issues, Ailish Campbell leads the Canadian Council of Chief Executive’s analysis and engagement on trade, taxation and other economic issues. Prior to joining the CCCE, Ailish worked at Industry Canada, where she was Director General of the Manufacturing and Life Sciences Branch. She also led the implementation of the Competition Policy Review Panel chaired by L.R. (Red) Wilson, which produced legislative amendments to the Investment Canada Act and the Competition Act (2009), and served in executive positions in the Privy Council Office and the Department of Foreign Affairs and International Trade. Ailish has worked extensively on international trade issues. She was a member of Canada’s negotiating team for the WTO Doha Round from 2002-2006. Ailish holds a Doctorate from Oxford. Her D.Phil thesis on European labour market and social policy integration was published by Palgrave MacMillan (UK) in 2002. She serves on the Boards of the Banff Forum, Canada 2020, and the Queen’s University Council. In March 2014, Ailish was named a Young Global Leader (YGL) by the World Economic Forum. Joe Clark is a Canadian statesman, author, and corporate director, active in international development and business. He was elected eight times to the House of Commons of Canada, and is a former Canadian Prime Minister, Foreign Minister, Minister of Constitutional Affairs, and Acting Minister of National Defence and of Justice. He is vice-chairman of the Global Leadership Foundation, and a member of the Inter-American Dialogue, and the Friends of the Inter-American Charter. Mr. Clark serves on the boards of Triton Logging Inc, Globe Scan Inc, Stratus Royalty Corporation, Pearson College of the Pacific, the Stern Stewart Institute, on the Supervisory Board of Meridiam Infrastructure Managers S.a.r.l., and on the advisory boards of Save the Children Canada, SOS Children’s Villages Canada, Canada Without Poverty and other Canadian and international organizations. He is an “Honorary Witness” of the Truth and Reconciliation Commission, seeking to heal the trauma of abuse of young Aboriginals in residential schools in Canada. He co-founded the underwater forestry company CSRD in Ghana, was founding chairman of the Commonwealth Committee of Foreign Ministers on Southern Africa, which co-ordinated the Commonwealth campaign against apartheid, served as Special Representative of the Secretary-General of the United Nations for Cyprus, and has led international Election and Governance teams in Africa, Asia, Latin America, the Caribbean and the Middle East. Mr. Clark is a Companion of the Order of Canada, a member of the Alberta Order of Excellence and l’Ordre de la Pleiades, and the first recipient of the Vimy Award. Born in High River, Alberta, he has been awarded honorary degrees by several Canadian and international universities and colleges. He is the author of Canada: A Nation Too Good to Lose (1994), and, in 2013, the best-selling How We Lead: Canada in a Century of Change (published in French in 2014 as Agir de concert: Le Canada dans un monde en mouvement). Joe Clark speaks French and English, and is married to the Canadian author and lawyer Maureen McTeer, who specializes in law and public policy respecting health, science, and reproductive technologies. Their home is in Ottawa..
Madelaine Drohan has been the Canada correspondent for The Economist since February 2006, writing on Canadian national issues, business, and finance for a global audience. Her reporting and analysis of economic and business events of national and international import has also appeared in The Financial Times of London, the online version of The Globe and Mail, and the Money section of CBC.ca, the online news site of the Canadian Broadcasting Corporation. Her commentaries are based on experience gained in more than 30 years of reporting on politics, business and economics in Canada, Europe, Africa and Asia. She is the author of “The 9 Habits of Highly Successful Resource Economies: Lessons for Canada,” a research report that she wrote in 2012 for the Canadian International Council. Her book, Making a Killing: How and Why Corporations Use Armed Force To Do Business, was published in 2003 by Random House of Canada and in 2004 by The Lyons Press in the U.S. It won the Ottawa Book Award and was short-listed for the National Business Book of the Year Award in 2004.She was awarded a Reuters Fellowship at Oxford University in 1998, and the Hyman Solomon Award for Excellence in Public Policy Journalism in 2001. She was a 2004-2005 Media Fellow at the Chumir Foundation for Ethics in Leadership and the 2004-2005 Journalist in Residence at Carleton University. She has sat as a volunteer director on the boards of the North-South Institute, Transparency International Canada and Partnership Africa Canada, where she was also president. She lives in Ottawa. Stewart Elgie is a professor of law and economics at the University of Ottawa, and director of the University’s interdisciplinary Environment Institute. He received his Masters of Law from Harvard, and his doctorate (J.S.D.) from Yale. He is also the founder and chair of Sustainable Prosperity, Canada’s major green economy think tank and policy-research network. His research involves many aspects of environmental and economic sustainability, with a particular focus on market-based approaches. Elgie started his career as an environmental lawyer in Alaska, litigating over the Valdez oil spill. He returned to Canada and founded Ecojustice, now Canada’s largest non-profit environmental law organization. He was later hired by Pew Trusts as founding executive director of the multi-stakeholder Canadian Boreal Initiative. Prior to his faculty position at University of Ottawa (2004), Elgie held faculty appointments (part-time) at several Canadian universities (U.B.C., Alberta, York). He has served on or chaired many advisory bodies in the environment/sustainability area. In 2001, Elgie was awarded the Law Society of Upper Canada medal for exceptional lifetime contributions to law – the youngest man ever to receive the profession’s highest honour. 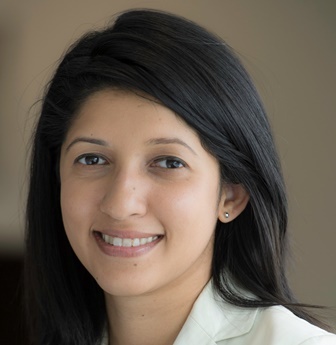 Farah Faisal Thaler is Associate Director at the Council on Foreign Relations (CFR) program on International Institutions and Global Governance. The program aims to identify the institutional requirements for effective multilateral cooperation on global governance challenges such as climate change and armed conflict. Prior to joining CFR, Farah worked as a Program Officer with the Coping with Crisis program at the International Peace Institute. In this capacity, she focused her analysis on the growing interlinkages between security challenges, development, and environmental issues and on how the international community can learn to better manage increasingly complex situations and crises. Prior to IPI, Farah spent time working with the United Nations Development Programme (UNDP) Sustainable Energy Programme and the UNDP Africa Regional Bureau in New York on sustainable development and democratic governance issues in Africa. Farah also comes to us with experience both in finance and marketing. She has held positions at BNP Paribas, AC Nielsen, and HSBC, where she engaged in financial and sensitivity analyses, designed and managed investment portfolios, and wrote market updates. Farah holds a Master’s in International Affairs from Columbia University, where she studied International Finance and Policy. She holds a Bachelor’s of Commerce (with distinction) from McGill University. She speaks Italian and Bengali, and is conversational in French. Louise Fréchette was the first Deputy Secretary-General of the United Nations. She assumed her duties on 2 March 1998, after having been appointed by Secretary-General Kofi Annan. She remained in the post until 31 March 2006. As Deputy Secretary-General, Mme. Fréchette assisted the Secretary-General in the full range of his responsibilities and also represented the United Nations at conferences and official functions. She chaired the Steering Committee on Reform and Management Policy and the Advisory Board of the United Nations Fund for International Partnerships. Before joining the United Nations, Mme. Fréchette pursued a career in the Public Service of Canada, serving notably as Ambassador to Argentina with concurrent accreditation to Uruguay and Paraguay (1985-1988), Ambassador and Permanent Representative to the United Nations (1992-1994), Associate Deputy Minister of Finance (1995) and Deputy Minister of National Defence (1995-1998). 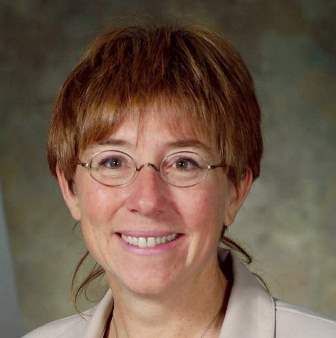 Anne Golden, Ph.D., C.M., was appointed as Distinguished Visiting Scholar and Special Advisor at Ryerson University, beginning September 1, 2012. She is currently teaching a course on Successful 21st Century Cities. Dr. Golden was the President and CEO of The Conference Board of Canada, the country’s foremost independent not-for-profit applied research organization, from 2001 to 2012. Dr. Golden will also the role of Public Policy Scholar in the spring of 2014 at the Woodrow Wilson Center in DC. Previously, she was President of the United Way of Greater Toronto for 14 years. She earned national profile for her work as Chair of the Homelessness Action Task Force (1999), the Greater Toronto Area Task Force (1996), and most recently, the Premier of Ontario’s Transit Investment Strategy Advisory Panel. Dr. Golden was appointed as a member of the Order of Canada in 2003 and as a member of the Order of Ontario in 2013. She has received eight honorary doctorates – from McMaster University (2011), University of Calgary (2011), University of Western Ontario (2008), Royal Roads University (2005), University of Toronto (2002), York University (2000) and Ryerson Polytechnic University (1997), including an honorary diploma from Loyalist College (2005). Most recent awards included the Canadian Urban Institute: Jane Jacobs Lifetime Achievement Award, The Conference Board of Canada’s 2012 Honorary Associate Award and Alumni of Influence Award of the Top 100 People to Graduate from University College, University of Toronto. Danielle Goldfarb is Associate Director of the Conference Board of Canada’s Global Commerce Centre. She writes on Canada’s international trade, investment, and development policies. Danielle’s recent research and commentaries focus on Canada’s changing trade patterns, the impact of China on Canada’s trade, the Canada-EU trade deal, and the hottest opportunities and markets for Canadian companies. Her latest briefing (co-authored with Sui Sui) is “Not for Beginners: Should Canada’s SMEs go to fast-growth markets?” Danielle’s articles and commentaries have been published by several Canadian think tanks and by most major Canadian media. In 2012, Maclean’s called her one of Canada’s top trade experts. She blogs for the Canadian International Council Roundtable and provides advice on trade policy directly to Canada’s Minister of International Trade. She was recently a judge for both the Organization of Women in International Trade awards and the Manulife-Rotman Entry into Asia competition. She has been part of Statistics Canada’s advisory committee on trade, the Georgetown University’s leadership seminar, the Department of Foreign Affairs Academic Advisory Group on trade, and the US International Visitor Program on trade. Danielle has an M.Phil. in International Relations from Cambridge University and a B.Comm. in Honours Economics from McGill University. The Hon. Bill Graham was educated at the University of Toronto and the Université de Paris, practiced law with the firm of Fasken and Calvin, and taught at the University of Toronto Faculty of Law. In 1993 he was elected Member of Parliament for Toronto-Centre-Rosedale, and from 1995 to 2002 served as Chairman of the Standing Committee of the House of Commons on Foreign Affairs and International Trade. He was Minister of Foreign Affairs from 2002 to 2004, and Minister of National Defence from 2004 to 2006. From February-December 2006, he was Leader of the Official Opposition and Interim Leader of the Liberal Party of Canada. He is currently Chancellor, Trinity College, University of Toronto, Chair of the Canadian International Council and Honorary Colonel of the Governor General’s Horse Guards. Robert Greenhill is Chief Business Officer of the World Economic Forum. With a strong interest in global issues, Robert has combined a career in international business with a commitment to international public policy. He started his career with McKinsey & Company. In 1995, he joined Bombardier Inc., Canada’s leading aerospace and rail-transportation manufacturer, where he occupied a number of senior posts, including Senior Vice-President of Strategy. He became President and Chief Operating Officer of Bombardier International in 2000. In 2004, he joined the International Development Research Centre as Senior Visiting Executive. In May 2005, Robert was appointed President of the Canadian International Development Agency, Canada’s premier international development and humanitarian assistance organization.Robert joined the World Economic Forum as Managing Director and Chief Business Officer in 2008. Paul Heinbecker served as Canadian Ambassador to Germany, Permanent Representative of Canada to the United Nations, Political Director of the Foreign Affairs Department in Ottawa and chief foreign policy advisor to then Prime Minister Brian Mulroney. Early postings included Ankara, Stockholm, Paris (OECD) and Washington. Since joining the Centre for International Governance Innovation CIGI and Laurier University in 2004, he has authored Getting Back in the Game, a Foreign Policy Playbook for Canada and contributed to a number of books and articles on international relations. He has written frequently on the United Nations, the G20, global governance, the Middle East and Canadian and American foreign policies. He writes op-eds and blogs for Canadian and foreign periodicals, including The Globe and Mail. He has delivered presentations and lectures to Canadian parliamentary committees, the Canada School of Public Service, the Canadian Department of Foreign Affairs and the Canadian Forces Staff College, as well as numerous universities and institutions across Canada, and in the US, Europe, Asia and Latin America. He comments frequently on international affairs on Canadian and foreign television and radio. He has honorary doctorates from Wilfrid Laurier and St. Thomas universities in Canada. For more information see www.heinbecker.ca. Dr. Jennifer A. Jeffs is the President of the Canadian International Council (CIC), a non-partisan, membership-based research council focused on international affairs. Dr. Jeffs is a member of the editorial boards of International Journal and Foreign Affairs Latinoamérica; a Director of Centro de Estudios y Programas Interamericanos (CEPI); a Director of the World Wildlife Fund, Canada; and a member of the International Women’s Forum. She is on the adjudication committee for the Donner Book Prize. Dr. Jeffs holds a Ph.D. in International Political Economy from the University of Toronto. As the recently engaged Chief Planner for the City of Toronto, Jennifer is committed to creating places where people flourish. Over the past decade Jennifer has been repeatedly recognized by the Canadian Institute of Planners and OPPI for her innovative work in Canadian municipalities. Most recently, Jennifer was named as one of the most influential people in Toronto by Toronto Life magazine and one of the most powerful people in Canada by Maclean’s magazine. Her planning practice is characterized by an emphasis on collaborations across sectors, and broad engagement with municipal staff, councils, developers, business leaders, NGO’s and residents associations. Her priorities include implementing a divisional strategic plan, leading an Official Plan review process, refining public consultation to provide more access to city building conversations, transit planning, midrise development on the City of Toronto’s many avenues, and overseeing development review for over 4000 applications annually. Jennifer is the founder of Project Walk, which premiered its first short film in 2011, as an official selection at the TIFF. In 2012 Jennifer debuted her first TED talk, “Walk to School,” and in 2013 she delivered her second, “Own Your City.” Jennifer is a graduate of the University of Western Ontario (combined honours English and Philosophy) and has a Master in Environmental Studies (Politics and Planning) from York University. P. Whitney Lackenbauer, Ph.D., is associate professor and chair of the department of history at St. Jerome’s University (University of Waterloo). He is also co-director of the Emerging Arctic Security Environment project through ArcticNet and a fellow with the Canadian Defence & Foreign Affairs Institute, the Arctic Institute of North America, the Frost Centre for Canadian and Indigenous Studies, and the Laurier Centre for Military and Strategic Disarmament Studies. His recent books include The Canadian Rangers: A Living History, 1942-2012 (2013), Canada’s Rangers: Selected Stories (2013), Canada and the Changing Arctic: Sovereignty, Security and Stewardship (co-authored 2011), Canada and Arctic Sovereignty and Security: Historical Perspectives (edited 2011), A Commemorative History of Aboriginal People in the Canadian Military (co-authored 2010), and Arctic Front: Defending Canada in the Far North (co-authored 2008, winner of the 2009 Donner Prize for the best Canadian book on public policy). He was a Fulbright Fellow at the School for Advanced International Studies at Johns Hopkins University in 2010 and a Canadian International Council Research Fellow at the Centre for International Governance Innovation in 2008-09. Whitney’s current research includes histories of Arctic sovereignty and security policies since the Second World War, Aboriginal-state relations, and contemporary circumpolar affairs. Andrew Leach is an energy and environmental economist and is the Enbridge Professor of Energy Policy at the Alberta School of Business at the University of Alberta. He has a Ph.D. in Economics from Queen’s University, and a B.Sc. (Environmental Sciences) and M.A. (Economics) from the University of Guelph. Dr. Leach was previously Assistant Professor at HEC Montreal. Dr. Leach teaches courses in energy markets and environmental management as part of the Alberta School of Business Natural Resources, Energy and Environment (NREE) programs. His academic research interests span climate and energy economics and policy. Dr. Leach has also consulted for Environment Canada, the National Roundtable on the Environment and the Economy (NRTEE), the Auditor General of Alberta, Alberta Environment, Alberta Finance and Enterprise, and Alberta Energy. He recently spent a year on leave from the University of Alberta as Visiting Scholar, Environment Canada, where he worked mostly on greenhouse gas policy for the oil and gas sector. Outside of work hours, his free time is spent with his two kids, Will (5) and Caroline (3), as well as tweeting, blogging, cycling, and running. Kim Mackrael writes about foreign affairs for The Globe and Mail. She joined the newspaper in 2011, first working as a general assignment reporter in Toronto, and then moving to Ottawa in Sept. 2012 to report on national politics. During her time in Ottawa, Kim’s reporting has focused on Canada’s shifting international development policies, corrections, justice, and the Senate expenses controversy. She also travelled to Lac-Mégantic last year to cover the rail disaster in the small Quebec town and continues to report on safety issues related to the rapid increase in transportation of crude oil by rail. Prior to joining the Globe, Kim worked as a reporter with the Guelph Mercury newspaper, and her writing has also appeared in the Canadian Press and the Ottawa Citizen. She obtained an undergraduate degree in international development studies from the University of Guelph and a graduate degree in journalism from Carleton University. Andrea Mandel-Campbell is director of corporate communications for Kinross Gold Corporation, a leading global gold producer. She was previously director of communications to the Honourable Tony Clement, President of the Treasury Board. A veteran journalist, broadcaster and author, Andrea was an anchor on CTV’s Business News Network and was a correspondent for the Financial Times of London in Latin America for close to a decade. She is the author of Why Mexicans Don’t Drink Molson, the most comprehensive analysis to date of why Canadian companies fail to go global and why they must. Kyle Matthews is the Senior Deputy Director of the Montreal Institute for Genocide and Human Rights Studies at Concordia University and a Fellow at the Canadian Defence and Foreign Affairs Institute. His work focuses on human rights, international security, the Responsibility to Protect, global threats, and social media and technology. He previously worked for the United Nations High Commissioner for Refugees, where he was posted to the Southern Caucasus (Tbilisi), the Democratic Republic of the Congo (Kinshasa) and Switzerland (Geneva). Prior to that he worked for CARE Canada in Albania and later at its headquarters in Ottawa, where he managed various humanitarian response initiatives and peace-building projects in Afghanistan, Sub-Saharan Africa and the Middle East. In 2011 he joined the New Leaders program at the Carnegie Council for Ethics in International Affairs. He is a member of the University Club of Montreal, the Montreal Press Club, the Montreal Council on Foreign Relations and the Federal Idea, a think tank devoted to federalism. He is currently the President of the Canadian International Council’s Montreal branch and a Research Fellow at the Canadian Research Institute on Humanitarian Crises and Aid. He blogs on international affairs for Global News and for the Canadian International Council’s website opencanada.org. John W. McArthur is an economist and optimist focused on interrelated issues of economic growth, technological advance, sustainability, poverty reduction, and global collaboration. He is a Visiting Fellow with the Brookings Institution, Senior Fellow with the United Nations Foundation, and Senior Fellow with the Hong Kong-based Fung Global Institute. He was previously the CEO of Millennium Promise and prior to that managed the UN Millennium Project, the advisory body to then-Secretary-General Kofi Annan. He was a faculty member at Columbia’s School of International and Public Affairs and Policy Director at the University’s Earth Institute. Earlier he was a Research Fellow at the Harvard Center for International Development, where he co-authored the Global Competitiveness Report. In 2007-2008 John co-chaired the International Commission on Education for Sustainable Development Practice, which led to the launch of a new global network of Masters in Development Practice programs. He currently chairs the World Economic Forum’s Global Agenda Council on Poverty and Sustainable Development. The Forum has recognized him as a Young Global Leader. John completed a D.Phil. and M.Phil. in Economics at Oxford University, which he attended as a Rhodes Scholar; a Masters in Public Policy at Harvard’s Kennedy School of Government; and a Bachelor of Arts (Hons.) at the University of British Columbia. He is a Canadian citizen. Rob McRae served as Assistant Secretary to the Cabinet for Intelligence Assessment in the Privy Council Office from 2011 to 2014. He was Ambassador and Permanent Representative of Canada to NATO from 2007 to 2011. During his diplomatic career, he served overseas in Belgrade (1982-84), Prague (1988-91), and London (1993-95), and as Deputy Permanent Representative of Canada at NATO HQ in Brussels (1998-2002). At headquarters, he served as Director General of the International Security Bureau, Director General of the Policy Planning Bureau, and Director General of the Central, East, and South Europe Bureau. He received the Foreign Minister’s Award for Foreign Policy Excellence in 1997 and in 2000. His most recent book is Human Security and the New Diplomacy, which he edited with Don Hubert. With a preface by the UN Secretary General, the book is published by McGill-Queen’s University Press. His other books include: Resistance and Revolution: Vaclav Havel’s Czechoslovakia; The Matter with Truth; and Philosophy and the Absolute. His most recent article is “International Policy Reviews in Perspective” (Canada Among Nations, 2004). He studied at Queen’s University (Honours B.A. ), the University of Toronto (M.A. ), and has a Ph.D. in Political Philosophy from Laval University. He taught at McGill University, Queen’s University, Laval University, and Charles University (in Prague). Taylor Owen is the Research Director of the Tow Center for Digital Journalism at the Columbia School of Journalism. He is the Founding Editor-in-Chief of the Canadian International Council’s international affairs platform OpenCanada.org, the Director of the International Relations and Digital Technology Project, an international research project exploring the intersection of information technology and international affairs, and the Research Director of the Munk Debates. His Doctorate is from the University of Oxford where he was a Trudeau Scholar. Taylor Owen’s work can be found at www.taylorowen.com and can be followed at @taylor_owen. Emily Paddon is the Rose Research Fellow in International Relations at Lady Margaret Hall, and associate faculty member at the Blavatnik School of Government, University of Oxford. She is an elected fellow of the Rift Valley Institute (RVI) in London and co-founder of the Oxford Central Africa Forum (OCAF). Emily is a former Trudeau Scholar and lecturer at Wadham College, University of Oxford. She has conducted extensive fieldwork in sub-Saharan Africa and published on civilian protection, military intervention and the United Nations. Emily has worked as a consultant on humanitarian issues for the Canadian Department of Foreign Affairs and International Trade, the Australian Government, the Oxford Refugee Studies Centre, the Danish Refugee Council, and Oxford Analytica. She has also been an Action Canada public policy fellow, a visiting scholar at the International Peace Institute and Sauve Foundation, and has guest lectured at Columbia University, NYU and McGill University. She holds a DPhil in International Relations from St Antony’s College, University of Oxford. Jonathan Paquin is an Associate Professor of Political Science and Director of the International Peace and Security Program at Université Laval. 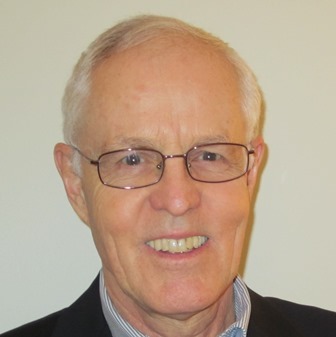 He is the author of A Stability-Seeking Power: US Foreign Policy and Secessionist Conflicts (McGill-Queen’s, 2010), and the co-editor (with Patrick James at USC) of Game Changer: The Impact of 9/11 on North American Security (UBC Press, 2014). Paquin has written articles in Cooperation and Conflict, Foreign Policy Analysis, International Journal, Canadian Journal of Political Science, and Canadian Foreign Policy. He received a Ph.D. in Political Science from McGill University in 2007. Roland Paris is founding Director of the Centre for International Policy Studies (CIPS) at the University of Ottawa. He is also University Research Chair in International Security and Governance, and Associate Professor in the Graduate School of Public and International Affairs. He was previously Director of Research at the Conference Board of Canada; Policy Advisor in the Privy Council Office and in the Department of Foreign Affairs; and Assistant Professor of Political Science at the University of Colorado-Boulder. He has also been a visiting researcher at the Johns Hopkins School of Advanced International Studies in Washington, DC, and the Centre d’études et de recherches internationales at Sciences-Po in Paris. His research on international security, civil wars and post-conflict peacebuilding has appeared in leading academic publications and has won several awards. He has also received four prizes for university teaching and two awards for public service. In 2012, he was appointed a Global Ethics Fellow by the Carnegie Council on Ethics and International Affairs in New York. In 2014, the secretary-general of NATO appointed him to a 10-member international panel of experts to advise on the future of the transatlantic partnership. David Petrasek is Associate Professor at the Graduate School of Public and International Affairs and Former Special Adviser to the Secretary-General of Amnesty International. He has worked extensively on human rights, humanitarian and conflict resolution issues, including for Amnesty International (1990-96), for the Office of the UN High Commissioner for Human Rights (1997-98), for the International Council on Human Rights Policy (1998-02), and as Director of Policy at the HD Centre (2003-07). He has taught international human rights and/or humanitarian law courses at the Osgoode Hall Law School, the Raoul Wallenberg Institute at Lund University, Sweden, and at Oxford University. David has also worked as a consultant or adviser to several NGOs and UN agencies. Mark Raymond will be taking up the position of Wick Cary Assistant Professor of International Security in the Department of International and Area Studies at the University of Oklahoma in July 2014. He holds a Ph.D. in political science from the University of Toronto. His research interests include international relations theory, international law and organization, and international security. He is the author of recent articles in the Georgetown Journal of International Affairs and the Canadian Foreign Policy Journal. Mark is currently a Research Fellow at the Centre for International Governance Innovation (CIGI) in Waterloo, Ont. At CIGI, he contributes to the development and execution of research and programming on Internet governance, including the Global Commission on Internet Governance. Vincent Rigby is Assistant Deputy Minister of the Strategic Policy Branch of the new Foreign Affairs, Trade and Development Canada (DFATD). He previously held the title of Vice-President of the Strategic Policy and Performance Branch of CIDA, a role to which he was appointed in December 2010. Prior to his arrival at CIDA, Mr. Rigby was the Executive Director of the International Assessments Staff (IAS) at the Privy Council Office (PCO), reporting to the National Security Advisor to the Prime Minister. The IAS produces intelligence assessments of foreign developments and trends affecting Canadian interests for the Prime Minister and other senior clients across government. Mr. Rigby also held the title of Afghanistan Intelligence Lead Official while at PCO. He was responsible in this capacity for coordinating the Canadian intelligence community in support of Canada’s Afghanistan mission. Before arriving at PCO, Mr. Rigby was Assistant Deputy Minister (Policy) at the Department of National Defence (DND) from 2006 to 2008. He was responsible for supporting the Minister of National Defence, through the Deputy Minister, in the formulation and execution of defence policy both at home and overseas. Over his 14 years at DND, Mr. Rigby held a number of other positions within the Policy Group, including Director General Policy Planning, Director of Policy Development and Director of Arms and Proliferation Control Policy. Prior to joining DND, he was a defence and foreign policy analyst at the Research Branch of the Library of Parliament. Mr. Rigby holds an MA in diplomatic and military history from Carleton University in Ottawa. Nicholas Rivers earned his Ph.D. in Resource and Environmental Management at Simon Fraser University in Vancouver, British Columbia. He holds a Master’s degree in Environmental Management and a Bachelor’s degree in Mechanical Engineering. His research focuses on the economic evaluation of environmental policies, and has been published in economics and energy journals as well as in other popular publications. Additionally, he is co-author of a recent book on climate change policy, Hot Air: Meeting Canada’s Climate Change Challenge. Mr. Rivers has worked for all levels of government, industry, and non-governmental organizations as a consultant on issues related to energy efficiency and climate change program evaluation, policy analysis and development, and economic modelling. He has received awards for his research from the Trudeau Foundation, the Social Science and Humanities Research Council, and the National Science and Engineering Research Council. Morris Rosenberg recently retired after a long career in the Public Service of Canada. He served most recently as the Deputy Minister of Foreign Affairs from 2010 to 2013. He served as Deputy Minister of Health from 2004 to 2010 and as Deputy Minister of Justice and Deputy Attorney General of Canada from 1998 to 2004. Previous to his appointment as Deputy Minister, Mr. Rosenberg served in the Privy Council Office as Deputy Secretary to the Cabinet (Operations) from 1996 to 1998 and as Assistant Secretary, Economic and Regional Development Policy from 1993 to 1998. Mr. Rosenberg is a lawyer and served in a variety of positions of increasing responsibility in the Department of Justice earlier in his career. He is married to Sherill Besser and they have two children. What does it mean to be the CEO of a movement? For George Roter, it meant dropping out of his Master’s program and running up $30,000 in credit card debt to fund the launch of Engineers Without Borders Canada (EWB) – that turned out to be a good decision. As EWB’s co-founders, George and friend Parker Mitchell stewarded the organization from an idea scribbled on a napkin to global innovator with 3,000 active members, 50,000 supporters, 37 chapters in Canada and change ventures in Malawi, Ghana, Uganda, Kenya, and Zambia. EWB’s change ventures, working to help local leaders and entrepreneurs create disruptive innovations that address systemic causes of poverty. George was awarded the Young Leaders Award by the Public Policy Forum (2007), the prestigious Action Canada Fellowship (2004) on public policy, and was named as one of Canada’s Top 40 Under 40 (2005). He was also recognized by Time magazine as one of Canada’s next generation of social leaders (2001). George holds a Bachelor of Applied Science from the University of Waterloo (1999), a Bachelor of Applied Studies (Honorary) from Seneca College (2009) and a Doctorate of Applied Science (Honorary) from Queen’s University. Stephen Saideman holds the Paterson Chair in International Affairs at Carleton University’s Norman Paterson School of International Affairs. He has published The Ties That Divide: Ethnic Politics, Foreign Policy and International Conflict and For Kin or Country: Xenophobia, Nationalism and War (with R. William Ayres) and NATO and Afghanistan : Fighting Together, Fighting Alone (with David Auerswald), and other work on nationalism, ethnic conflict, civil war, and civil-military relations. Professor Saideman spent 2001-2002 on the U.S. Joint Staff working in the Strategic Planning and Policy Directorate as part of a Council on Foreign Relations International Affairs Fellowship. He writes online at OpenCanada.org, Political Violence at a Glance, Duck of Minerva and his own site (saideman.blogspot.com), as well as tweeting at @smsaideman. 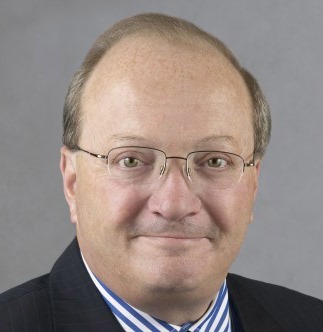 Senator Hugh Segal is a former President of the Institute for Research‎ on Public Policy, Vice chair (research) for the Canadian International Council, and also former Chair of the Canadian Institute for Strategic Studies. A graduate in history from the University of Ottawa, he chaired both the Senate Committee on Foreign Affairs and International Trade, and the Special Senate Committee on Anti-Terrorism‎. He was, between 2010 and 2013, Canada’s member on the nine person Commonwealth Eminent Persons Group on reform and modernization, and Canada’s Special Envoy to the Commonwealth. He has been a senior fellow and adjunct faculty member at both the Queen’s School of Policy Studies and Queen’s school of Business. A former chief of staff to the Prime Minister in the early 1990s and Associate Cabinet Secretary in Ontario in the 1980s he has written five books on conservative history, public policy and edited Geopolitical Integrity, a monograph on post Berlin wall foreign and defence policy published by the IRPP. In July, 2014 he becomes the fifth Master of Massey College, at the University of Toronto. Peter Singer is Chief Executive Officer of Grand Challenges Canada, which is funded by the Government of Canada to support bold ideas with big impact in global health. In 2011, he was appointed an Officer of the Order of Canada for his contributions to health research and bioethics, and for his dedication to improving the health of people in developing countries. In 2007, Dr. Singer received the Michael Smith Prize as Canada’s Health Researcher of the Year in Population Health and Health Services. He is a Fellow of the Royal Society of Canada, the Canadian Academy of Health Sciences, the U.S. Institute of Medicine of the National Academies, and The Academy of Sciences for the Developing World (TWAS). He is also Director at the Sandra Rotman Centre at University Health Network and Professor of Medicine at University of Toronto, and the Foreign Secretary of the Canadian Academy of Health Sciences. Dr. Singer studied internal medicine at University of Toronto, medical ethics at University of Chicago, public health at Yale University, and management at Harvard Business School. Yves Tiberghien (Ph.D. Stanford University, 2002) is an Associate Professor of Political Science, Director of the Institute of Asian Research at the University of British Columbia (UBC), Executive Director of the UBC China Council and Chair of UBC Public Policy Coordinating Committee. He specializes in East Asian comparative political economy, international political economy, and global governance, with an empirical focus on China, Japan, and Korea. In 2007, he published Entrepreneurial States: Reforming Corporate Governance in France, Japan, and Korea (Cornell University Press in the Political Economy Series). He has also published many articles and book chapters on the Japan’s and China’s political economy, on global governance, global climate change politics, and on the governance of agricultural biotechnology in China and Japan. He is currently working on a multi-year project on the battle for global governance with a particular focus on the role of China, Japan, and Korea in the G20 and in global economic and environmental issues. Rob Wright served as Canadian Ambassador to China from 2005-2009. He served as Ambassador to Japan from 2001-2005. From 1995-2001 he was Canadian Deputy Minister for International Trade. Over his 38 years in public service in the Department of Foreign Affairs and International Trade his other appointments included Deputy Head of the Canadian Embassy in Washington and Deputy Head of the Canadian Delegation to the Uruguay Round of Trade Negotiations under the WTO. He served as a Director of Export Development Canada (EDC) and Chairman of the Canadian Commercial Corporation (CCC). He retired from public service in 2009. He is a Senior Fellow at the China Institute of the University of Alberta and a member of the Advisory Board of the Canadian Defence and Foreign Affairs Institute (CDFAI). He writes, teaches and travels.